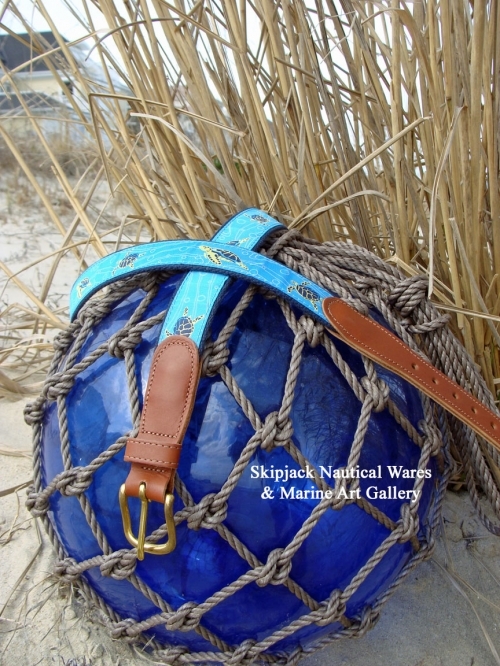 Go nautical with men's, women's and boy's leather, canvas and macrame belts at Skipjack. 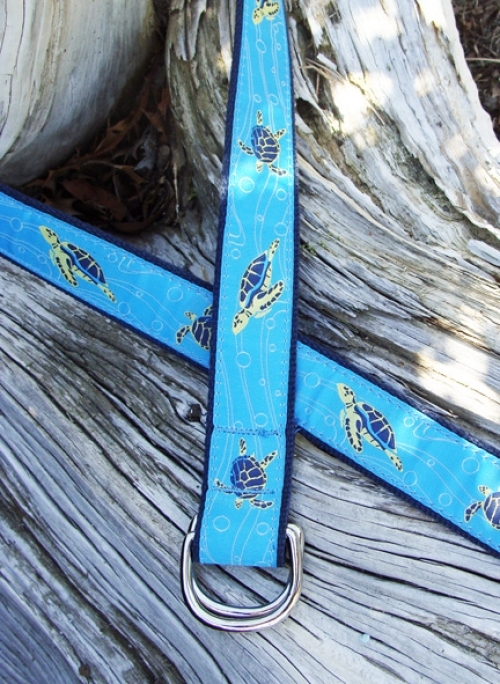 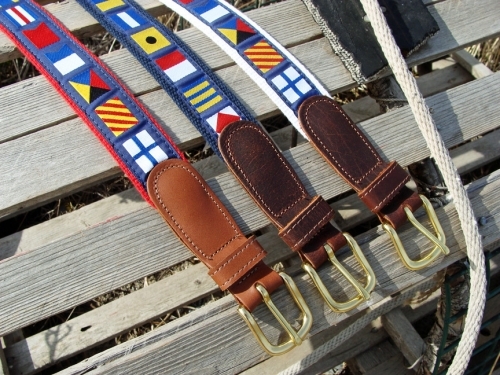 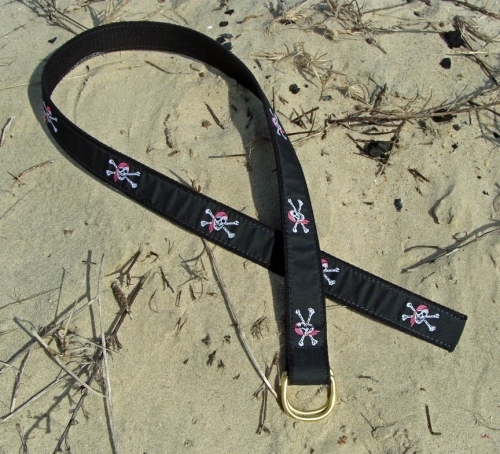 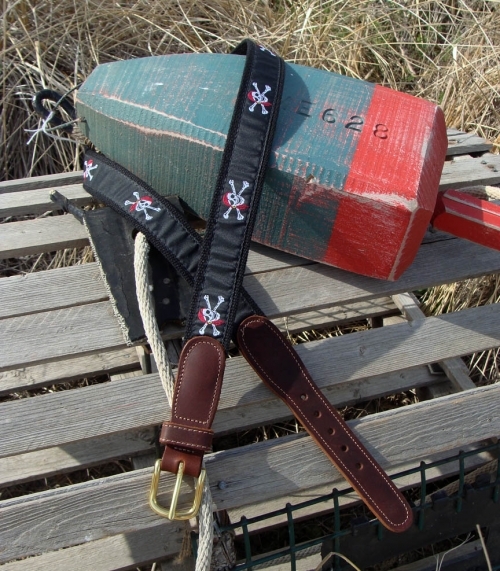 Choose from a variety of both leather tab and D-ring belts, and brass buckles available in fashionable nautical designs including signal code flags, sailboats, pennants, crabs, sea bass, anchors, crossed oars, pirate bones and skull, sea turtles and shells. 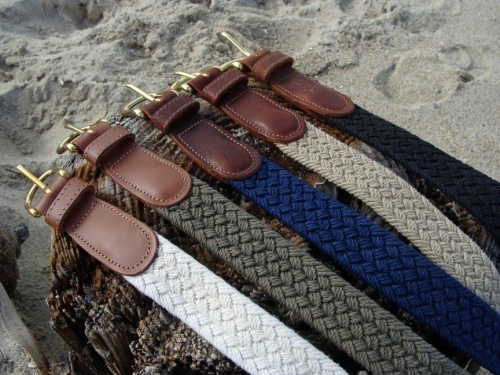 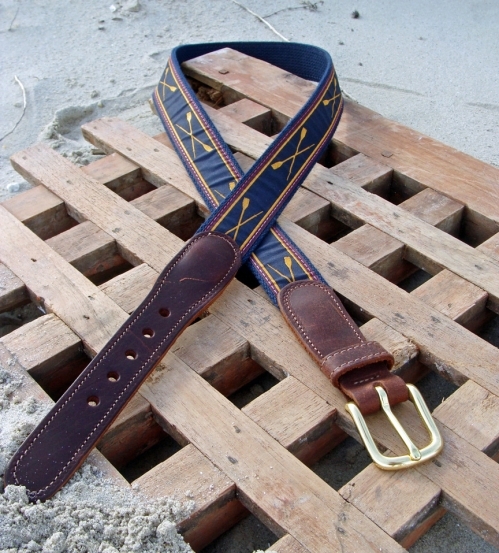 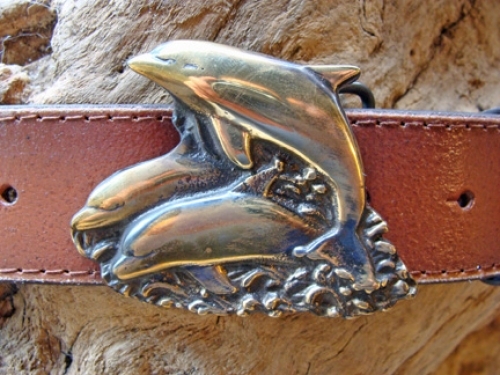 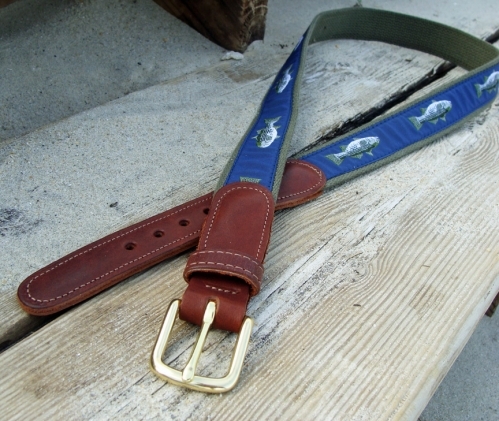 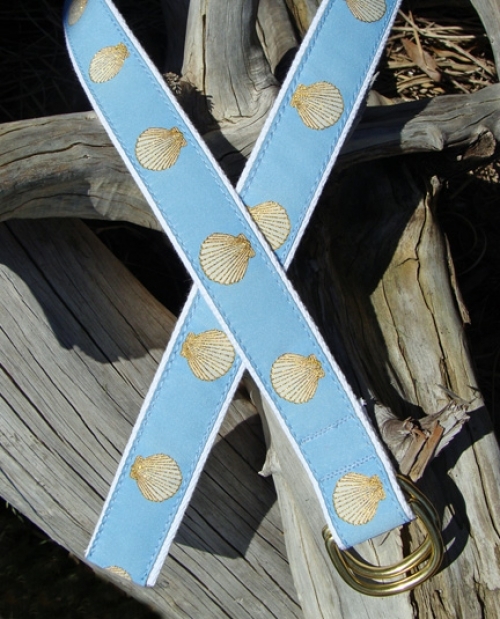 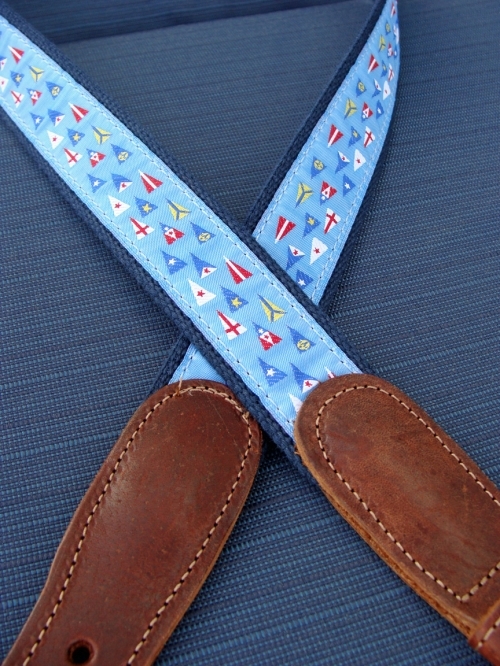 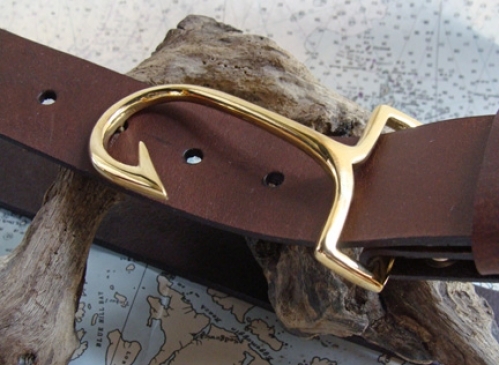 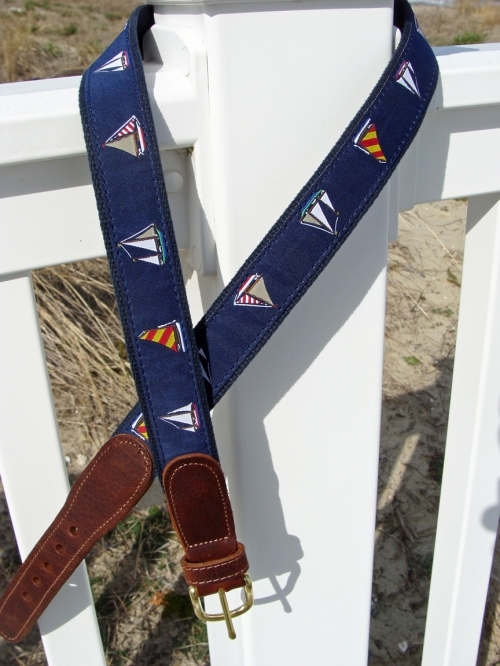 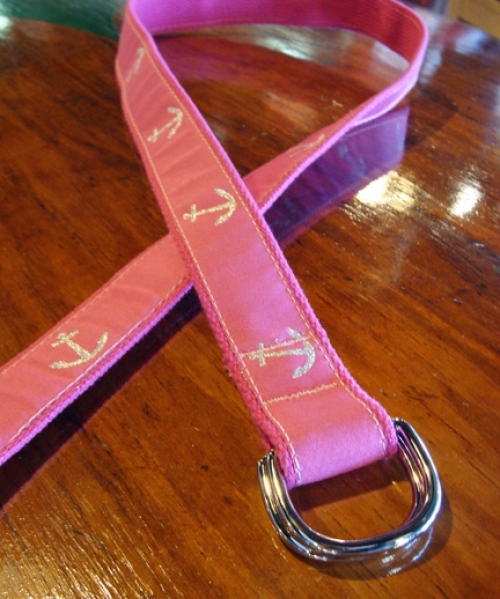 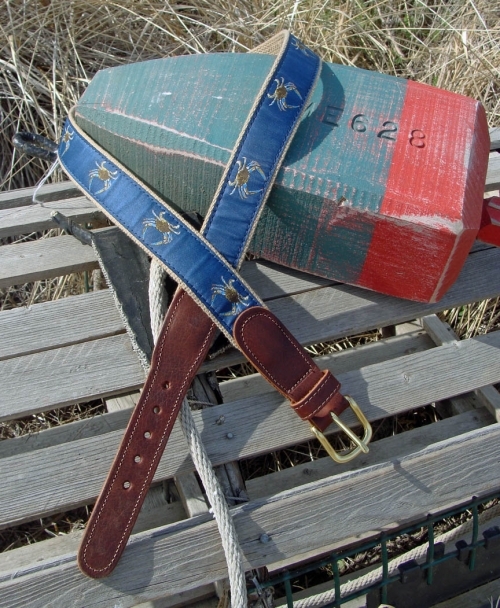 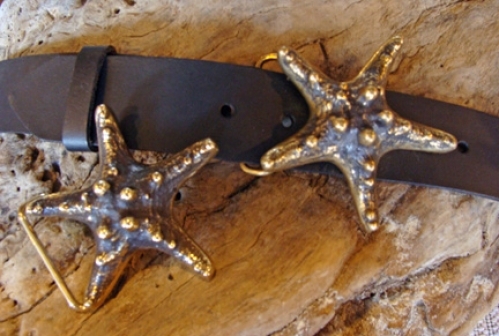 Skipjack also offers nautical brass buckles with leather snap belts in fish hook, starfish and leaping dolphins.